A fast and light model for sport, trad, alpine or ice climbing. 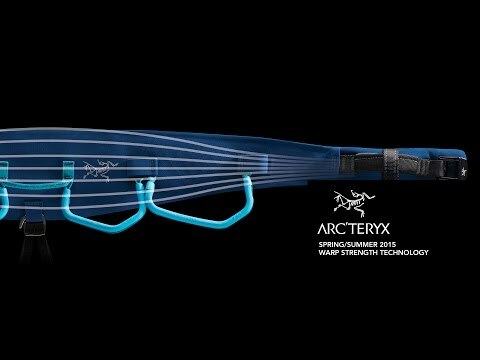 It uses WARP technology to distribute loads evenly from edge to edge, keeping it extremely light and supple. It conforms to your body while you're wearing it, and it folds compactly when packed. Double weave material has a soft edge on the waist for added comfort. Orange wear markers sewn into tie-ins and belay loop signal when harness should be retired. Fixed leg loops have elastic to accommodate bare legs or layers. Aluminum self-locking waist and leg buckles. Elastic and steel hooks let you drop the leg loops. Reversible polyurethane gear loops and a haul loop. Uses women's specific ratios for waist and loop sizing.